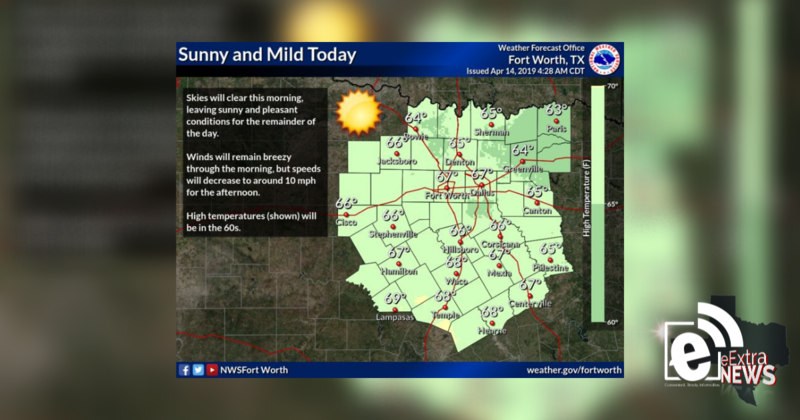 Skies will clear out this morning, leaving sunny and mild condition for the rest of Sunday. High temperatures will be in the 60s with diminishing northwest winds. Winds are expected to remain breezy through the morning, but speeds will decrease to about 10 mph for the afternoon. Highs will be in the 60s.